A few weeks ago, HSBC took a big step forward in cutting its links with the destruction of Indonesia’s forests by pledging to end funding for destructive palm oil companies. But HSBC is not the only bank lending money to palm oil companies pushing further and further into the forest, and the others now have a lot of catching up to do. HSBC brought in a new policy after we showed how it had been involved in providing loans to some of the most destructive palm oil companies and hundreds of thousands of people around the world demanded tougher action. We still need to see how good HSBC is at putting this new policy into practice, but if done right it could put significant pressure on palm oil companies to stop destroying forests. Other banks, however, are lagging way behind. When we threw the spotlight on HSBC’s role in deforestation earlier this year, we also highlighted 17 other banks from around the world that are also shelling out for less-than-responsible palm oil companies. 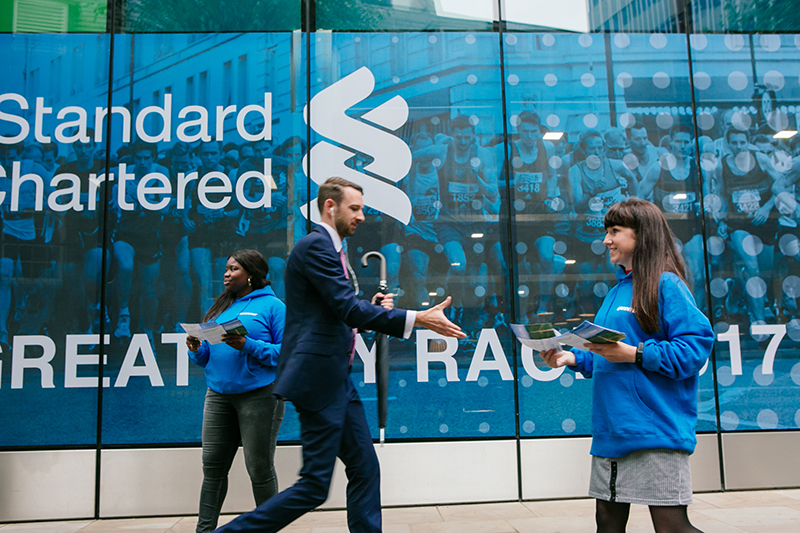 Take Standard Chartered, for instance – it’s based in the UK but does most of its business in Africa and Asia. At least it has a palm oil policy on its website – many of the banks we surveyed didn’t even go that far. However, the policy is weak. Only certain types of forest are mentioned as no-go areas, and it says nothing about protecting peatlands other than that it might generally be a good idea. That’s despite the fact that clearing peatlands for palm oil is a cause of forest fires in Southeast Asia, fires which cause a huge health crisis in this area. Like many other banks, Standard Chartered refuses to talk about its palm oil customers, claiming legal restrictions prevent it from doing so, which makes it very hard for anyone else to judge how well it keeps any commitment to protecting forests.. But as HSBC demonstrated, there is a way round this – its palm oil customers are now required to give permission to be named, otherwise they’ll be refused business. HSBC still hasn’t said what (if anything) it will do with this information, but it does show there’s an easy way to make sure lending to palm oil companies is transparent, if only banks have the will to do it. You may remember Standard Chartered as the bank that, following another Greenpeace campaign, pulled out of the giant Carmichael coal mine in Australia that threatened the Great Barrier Reef. So we know Standard Chartered changed direction in the past when faced with a damaging situation and a public outcry. Other banks have even lower standards and often their policies will reference things like protecting forests or human rights, but these lack a clear indication that funding will be refused if customers are found to be in breach. ANZ is one of those that doesn’t have a published policy, despite being a member of the Roundtable on Sustainable Palm Oil. Bank of America does have a policy that covers labour standards, but fails to set strong benchmarks on deforestation and peatland clearance. Deutsche Bank fares even worse, with only human rights concerns like forced or child labour covered. 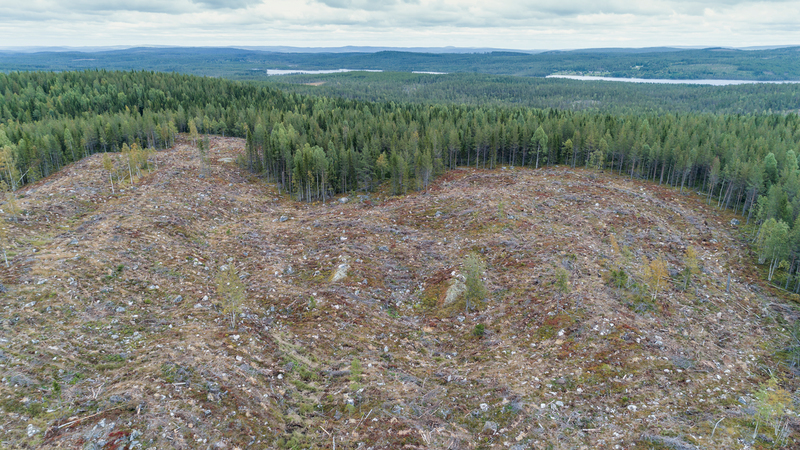 There are mentions of forest and peatland protection, but only in that customers are expected – not required – to have plans to address these issues. BNP Paribas fares better with peatland clearance and human rights abuses listed as prohibited, although it too only requires customers to protect certain types of forest, those identified in surveys as high conservation value. This leaves the door wide open to continued forest clearance, although BNP Paribas has said it is working on a new policy. Will it and other banks take the hint and follow HSBC’s lead? 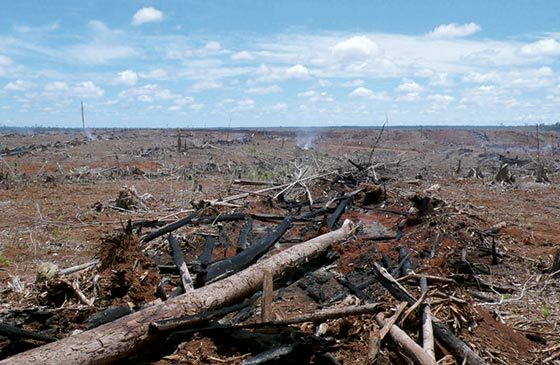 When you see what some of the palm oil companies are up to, it’s hard to think otherwise. 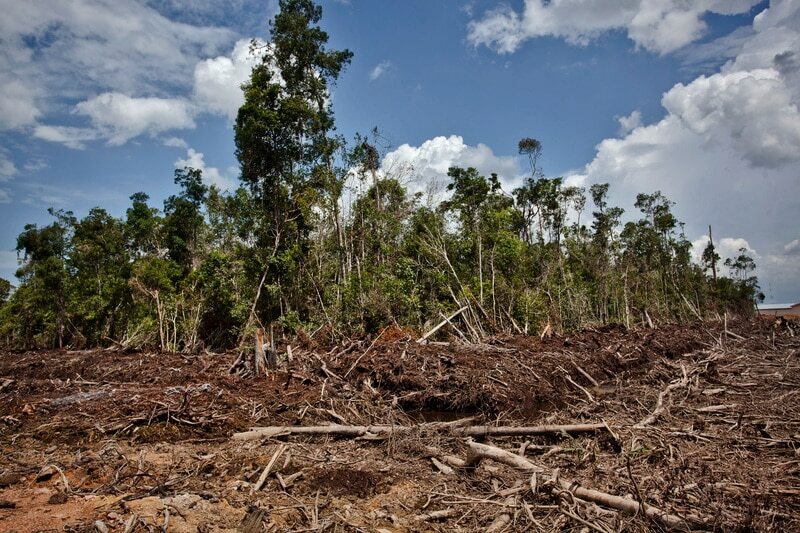 Recent satellite images have shown that the a palm oil company controlled by of one of these companies – South Korean conglomerate POSCO Daewoo – is preparing to clear a colossal area of forest in Papua. We flagged this palm oil concession in our evidence to HSBC as one of great concern, and since the end of December a network of roads have appeared in what was intact forest. It’s a clear sign that this area – about the size of Luton – is about to be cleared. Those banks funding POSCO Daewoo – ANZ, BNP Paribas and Standard Chartered, amongst others – should be using their influence to prevent this destruction, and this is just one example. Our investigations have linked global banks with other notorious companies that have destroyed forests and violated the rights of Indigenous Peoples and local communities. We’re waiting to see what action Standard Chartered and other banks will take to halt the flow of cash to companies that continue to cause environmental and social havoc. To make sure the message is getting though, we’ve placed a full-page advert in today’s Financial Times – generously paid for by over 3,500 Greenpeace supporters. Banks funding palm oil companies need to take a hard look at their involvement in the ongoing devastation of Indonesia. HSBC has shown it’s possible to have far stronger commitments on protecting forests, so now there’s no excuse.